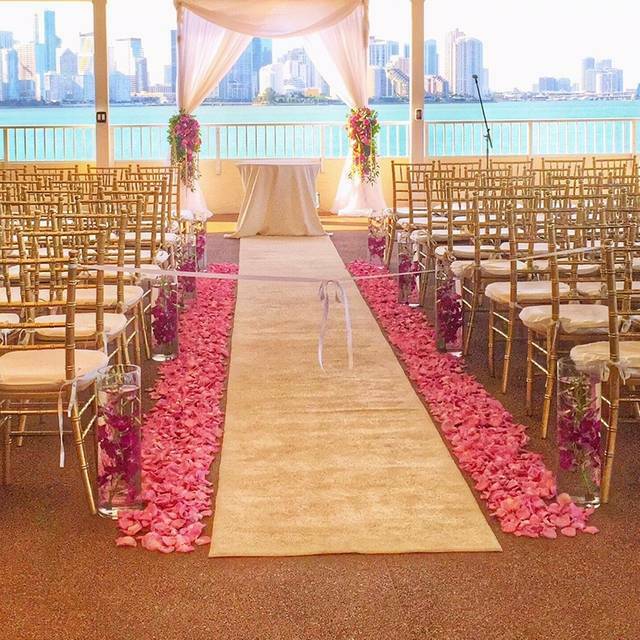 The Rusty Pelican is one of the top Special Events Venues in Miami that offers complete event production, custom catering, coordination and design services for corporate and special events. 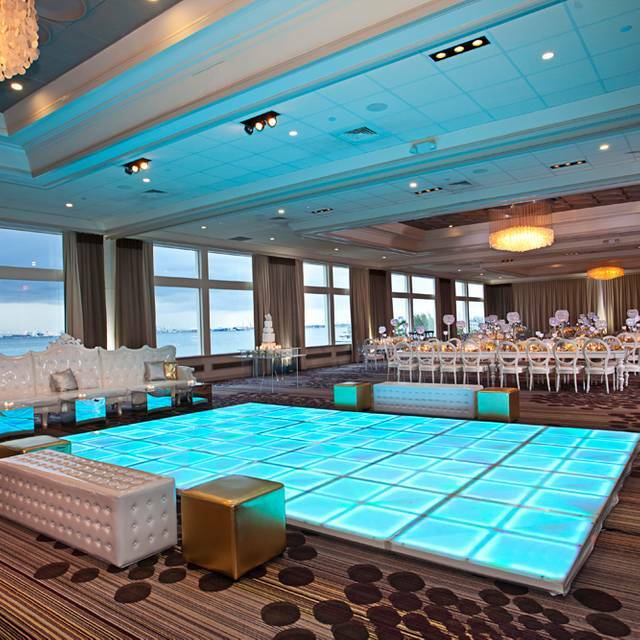 The newly transformed Rusty Pelican has impeccable amenities for weddings, corporate functions and socials, including premium audio and visual equipment, bridal suite with a personal concierge, outside terrace for cocktail hour and so much more. We create and implement high quality events that capture the attention, emotions and imagination of your audience like no one else can. 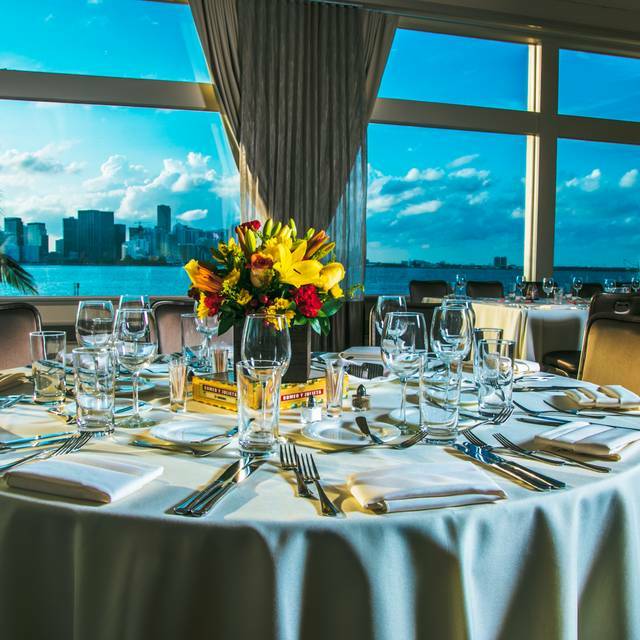 On Key Biscayne, diners, corporate clients and wedding guests alike are flocking to the newly transformed Rusty Pelican – a waterfront restaurant, lounge and special events venue long known for offering Miami’s most amazing skyline views. Offering the definition of modern, fun and comfortable dining, the iconic restaurant boasts the legendary view along with great cuisine from new executive chef Jim Pastor in a high energy atmosphere that literally buzzes with excitement. 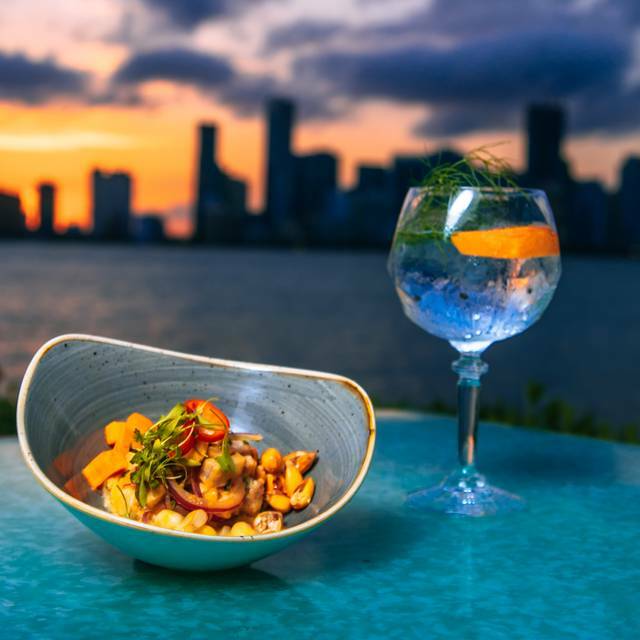 On Key Biscayne, diners are flocking to the newly transformed Rusty Pelican – a waterfront restaurant, lounge and special events venue long known for offering Miami’s most amazing skyline views. 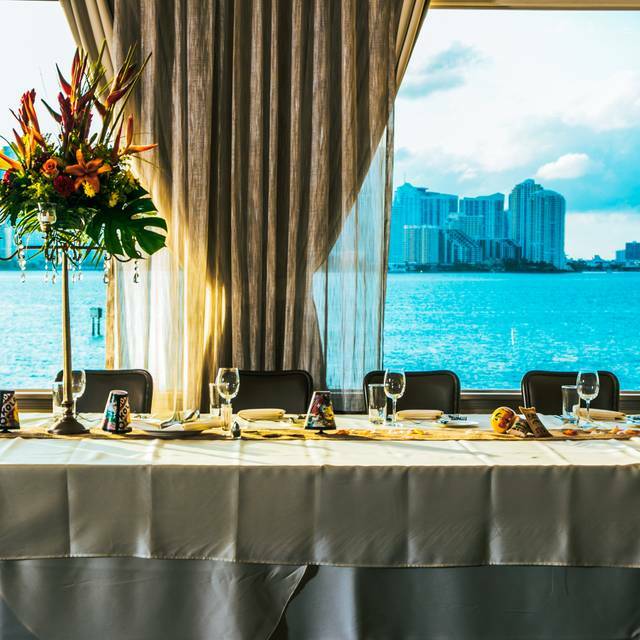 Offering the definition of modern, fun and comfortable dining, the iconic restaurant boasts its legendary view along with great cuisine from executive chef Jim Pastor in a high energy atmosphere that literally buzzes with excitement. Guests enjoy a menu that presents the best of Modern American cuisine featuring deliciously composed small plates perfect for sharing, a wine list filled with unique varietals and specialty blends. In the lounge and on the star swept outdoor patio, cocktail culture is in full swing with a spectacular selection of specialty libations, microbrews and wines by the glass.The Rusty Pelican is the ideal place for dining and entertaining – from a casual night out with friends and family to a very special event that will form lifetime memories. Ask your Server for the selection of Gluten-Friendly items on our Menu! I'm probably very biased toward the Rusty Pelican b/c, as a child it was the restaurant my parents would take me to when we were celebrating a special occasion and I got to pick. 40 years later I still love it every bit as much. My daughter's first choice of places is the Rusty Pelican and we long ago made heading there for Easter dinner a family tradition. This time was every bit as excellent as every other time. We had reservations for 8:00 PM. It was a little busy but we were able to get an outside table on the water just like we had hoped. The food was.... nothing short of divine. We had the short rib empanadas for a starter (they have a new table bread that was great. It was very dry compared to the super moist choices they usually have but it's superb). We each had a different salad and then our entrees and dessert. The filet was perfect, it always is. After 100 visits, I've never had an instance where the steak wasn't perfect. My wife and daughter said the same about their dishes, wifey had the salmon, the daughter had surf and turf. Had a excellent evening at the Rusty Pelican on Saturday, May 20. Excellent weather, service, food and views of Miami. It doesn't get much better than this. Huge line as you approach the restaurant. You can only valet which is so silly. You have to wait to park and an uneducated man who speaks no English grabs your car to park it without any instructions. Same deal when you are leaving. It's obvious they contracted this to a valet company that does not care. The girl at front desk gave us no expectations on when the table would be ready. She was looking somewhere else as she was speaking to me. No smile, no eye contact, no expectations. Our waiter was actually nice. He was doing his best but had too many tables. The restaurant is broken down, furniture is old and uncomfortable. Walls are filled with scratches. Absolutely terrible food, meat was cold and lamb chops were finished. Desert area had flies all over the place. A whopping $460 for 4 people! We literally had 5 bites of each food and left. I did not even bother to call a manager. It was that bad! I do not think this is something that can be fixed by a manager. The whole structure of the restaurant and the management style is flawed. I will NEVER go to Rusty Pelican again! Save yourselves the hassle and go to Four Seasons in Brickel or Biltmore for brunch. Went there for Easter brunch. The food selection was good, the place has an outstanding view of Miami, so that is very nice. The Easter bunny was there for photos and they had face painting and goody bags for the kids. They had a live musician, which they could have done without. It wasn’t so much that he was terrible (which he was), but that the music he was playing and singing was inappropriate for the occasion. It was more suited for a late night latino party. Brunch was quite overpriced, but then again it was Easter. Attended Easter brunch; food was incredible and price was reasonable for all that was included. Meeting the Easter bunny and face painting for the kiddos was a bonus; free Easter photo op! From beginning to end the experience at the Rusty Pelican was great. The valet quickly took our car with a smile. At the counter we were offered either interior or outside deck. 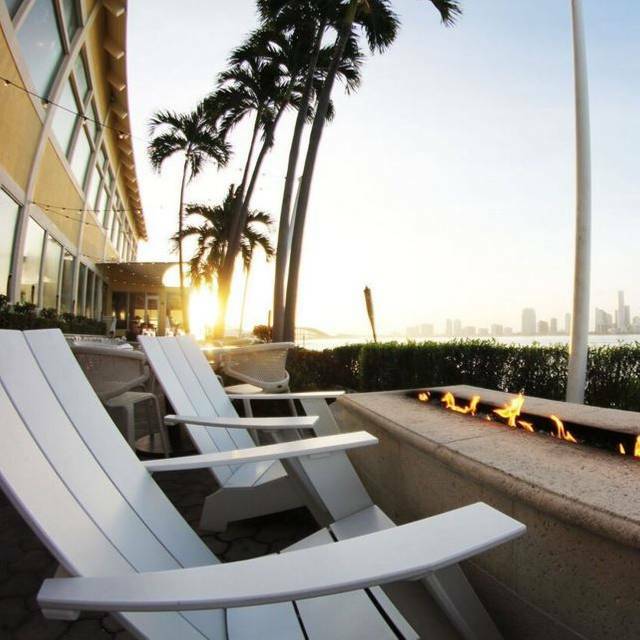 We took the deck with a magnificent view of the Miami skyline. Surf and turf dinner. Wonderful! Planning to go again with the whole family. Now has food and service to support it! The problem with Rusty Pelican is that you often wait a bit before sitting. And the events they host (3 the night we went at the restaurant!!) filled out the parking lot and even valets did not handle parking anymore. This is not serious when you pay what you pay there. The waiter did his best and was nice. Food was ok. Not remarkable but good enough. Family were in town. Great spot for out of town visiting. First this is simply the finest place in the Miami area to enjoy the sunset over water. Next the service is as always outstanding. The food this trip was less than perfect. Pork chops were a bit dry unlike last time. Lobster risotto had to be sent back as the risotto had an off taste. Alsace Riesling was incredible. As always, this is our favorite restaurant to celebrate our anniversary! 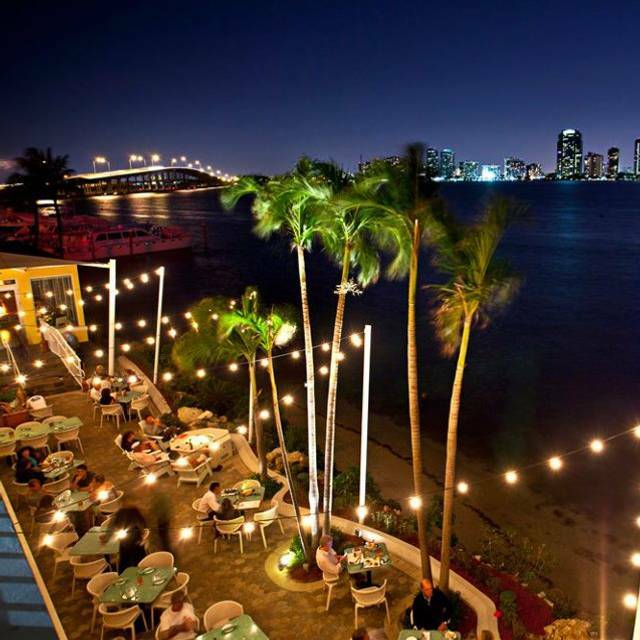 Absolutely gorgeous view of the Miami skyline, delicious food, great service! Our favorite! Food was as good ad the view! As always, Rusty's ambiance and view was outstanding, no su much the food. This is what I always hear from my friends. The place is awesome, but the food is mediocre. such a pity!! The best thing about this place is the location and views. 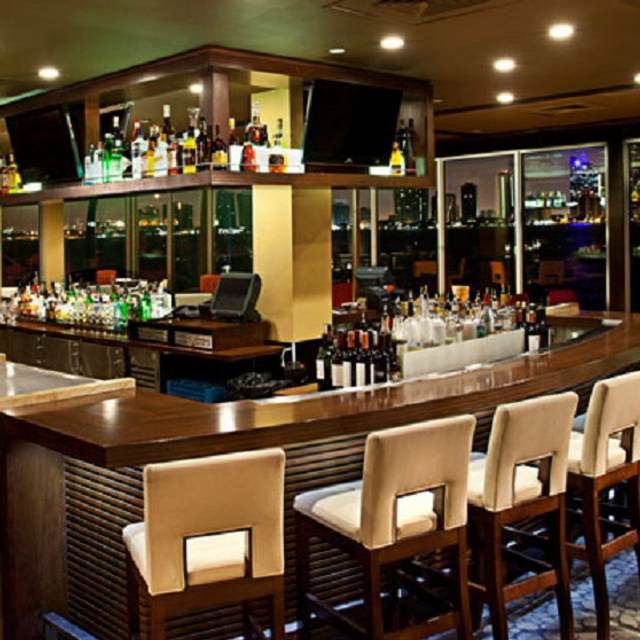 The food and pricing is about on par with other Downtown Miami restaurants. BEWARE they contract parking out on weekends to a private company who uses very deceptive tactics for parking. Most of the spots are blocked off which almost forces you to valet. Every sign you can see about the valet has NO price on it, so it really does appear complimentary. Then when you try to leave they charge you $6, plus tip. While the valet cost is pretty reasonable, it’s disappointing they aren’t upfront about the cost. Super sketchy parking operation being run so I can only give them 3 stars overall. Let me preface this review by saying that the views from the Rusty Pelican are spectacular, but the service we experienced left a lot to be desired. I felt our server wasn't very attentive. As an example, after we finished our appetizer (crab cake), the appetizer plates we used sat on our table for 10 minutes without a single staff member coming to collect them and replace our silverware. For a restaurant of that caliber, that is simply unacceptable. Overall, the food was very good but I've had better for the price-point. I really enjoyed the dessert I ordered, though. The Tres Leches was really one of the best I've had. Overall, I would probably go back and hope for a better server. The View! Wow! It truly is a sight to see. Words can't describe how beautiful it is. The Food! Wow! It is delicious the best calamari i have ever tasted, most places overcook it but these were perfect and soft. The food is amazing. The view is amazing. The service is amazing. Last but not least is the jalapeno cornbread for starters they don't give you regular bread this thing is amazing and will make you want more. The Rusty Pelican has a world class view and the food is excellent. Our server, Douglas, was outstanding. What I would recommend is more shade structures on the patio. We were a party of 11 who made reservation and requested outside seating. We were sat directly in the sun. Eleven adults all sweating and squinting in the sun is not the best way to enjoy dinner and conversation. We asked to be moved to the other end which had more shade. The second recommendation is that the food takes too long to get out of the kitchen. I know 11 people is a lot and the time before I was 5 people and it was the same. It takes nearly an hour to get your food from the time you order. That's too long. Our reservation was at 5pm and we didn't get up from the table to after 8pm. Especially for those taking the Brightline Train. It would be helpful for your staff who takes the reservations to set the expectation better. For instance, if I worked there and someone called to make reservations outside at 5:00 I would definitely tell them that you will be in the sun and could be uncomfortable. Just a thought. However, the food is out of this world and so is the view! The food was delicious! The service was professional I had a wonderful time. Never got asked where I wanted to be seated. Made the rsvp at 8:45 and got seated like at 10. They waiter never asked us if we wanted dessert and the main reason we went was so celebrate a friends birthday. The view was incredible but the food was terrible!! The risotto eith lobster could not be eaten!!! Very expensive for very bad food!! Great place overall and would recommend, but patrons should anticipate a $2.50 toll to cross Rickenbacker bridge, then Rusty Pelican's $6.00 mandatory valet (usually congested) so be aware of a waiting time getting in & out of venue. If you choose an outdoor waterfront table, prepare to be social as you'll have other patrons coming close by to enjoy the skyline view and take photos of the amazing backdrop. Definitely worth the visit, but knowing those things in advance can help with timeline and choosing a table that works for you. Brought my sister and her family here for dinner while they were visiting from NY. They loved the location and views. Food was very good too. Our waiter was amazing!! Very friendly and attentive. The view is great, we had a great birthday celebration. Great place for drinks. Food was okay. Spectacular view. Flawless evening. If you’re from NJ and familiar with the Chart House in Weehawkin this is comparable but beautiful in its own way. Exceptional service and high quality seafood. I’d recommend the pistachio encrusted scallops. Their jalapeño cheddar bread was amazing! The restaurant had potential as the location is nice. Service was poor. Very slow. Brought charcuterie appetizer but didn’t have crackers or bread to serve with it...promised it was coming but then later admitted they were out. It wa a joke for $30. Seared Tuna was over cooked and portion was more appetizer sized then meal sized. 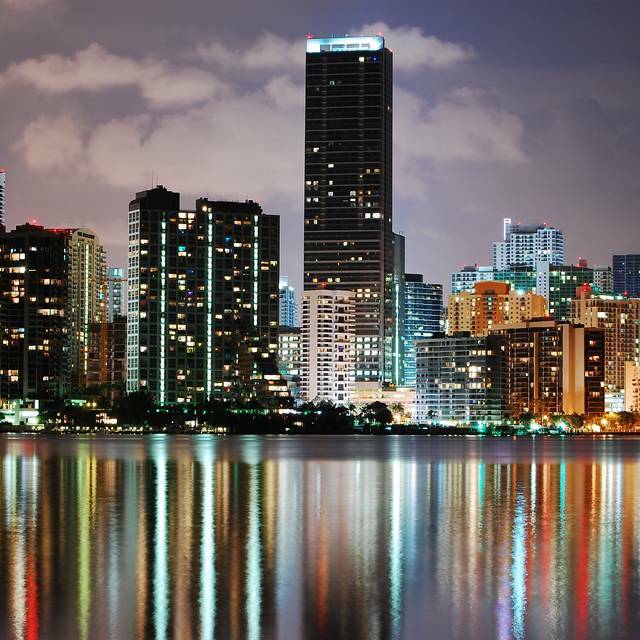 Vue incroyable sur Miami. Nourriture excellente. Nous allos y retourner sans hésitation. The prices are very high but I guess you are paying for the view all around the restaurant. of the shrimp wonderful, some smelled and we didn’t eat them. The cleanliness of the restaurant could be a bit better. 4 star on this visit. Drink pours should be more based on price changed. Worst experience ever. Mediocre food!